An interview with LGBT Fantasy Fans and Writers in which I talk about princesses and Libriomancer and writing advice and a magic marionette. Several other as-yet-unpublished interviews, guest blogs, and essays. Talking to my editor about the cover for book two. Brainstorming a title for book two. (I spent more than an hour staring at the computer last night, just jotting down random words. I also had a title feedback session on Facebook.) 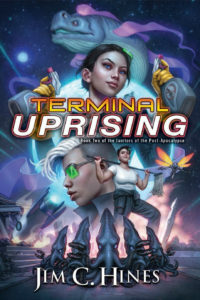 The possible titles I finally sent my editor are: CODEX BORN, CODEX BOUND, or CODEX UNBOUND. We’ll see what she thinks. 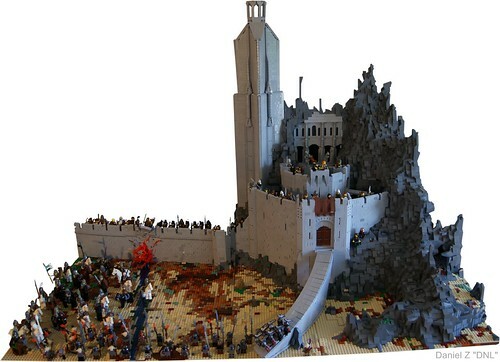 So while I try to find my brain, enjoy this impressive LEGO recreation of the battle at Helm’s Deep, by Daniel Z. Click the pic for more shots of this set. Are you telling me CODEXERCISED wasn’t considered for a potential title? For shame, Jim. Someone suggested CODEXPLOSION, and another said it should be CODEXIFORNICATION. Do those count? Uh-oh. Brain not letting go….